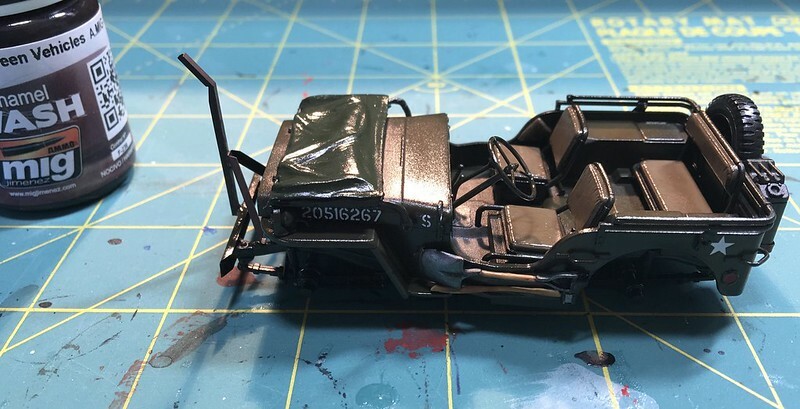 Details are painted, gloss coat, decals and a Mig wash. This is my entry to UB2016. And a few hours later, ready for paint. I think I'll get the black sprayed tonight. Black coat on for shadows. That's it for me for now. It's 2am. Lol I need some sleep. You're flying through that Dustin! So what was the issue that put her on the shelf in the first place? Just enlisted for this campaign. Let me take some photos and get motivated. Dragon Sd. 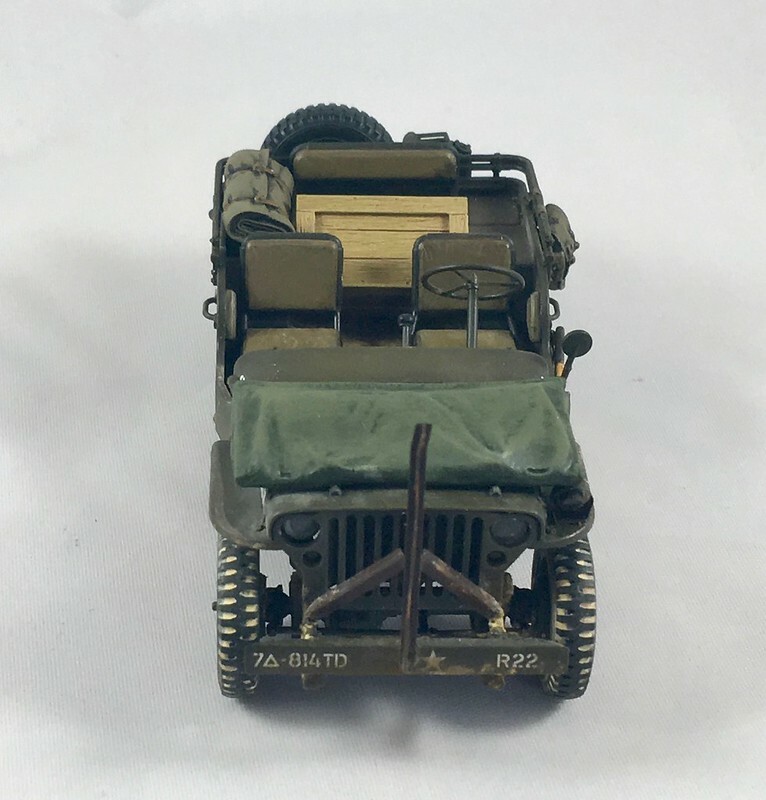 Kfz.7/1 2cm Flakvierling 38 auf Selbstfahrlafette. Started building it in 2014 for Dragon OOBII campaign. life got in the way of building, so now i try again. 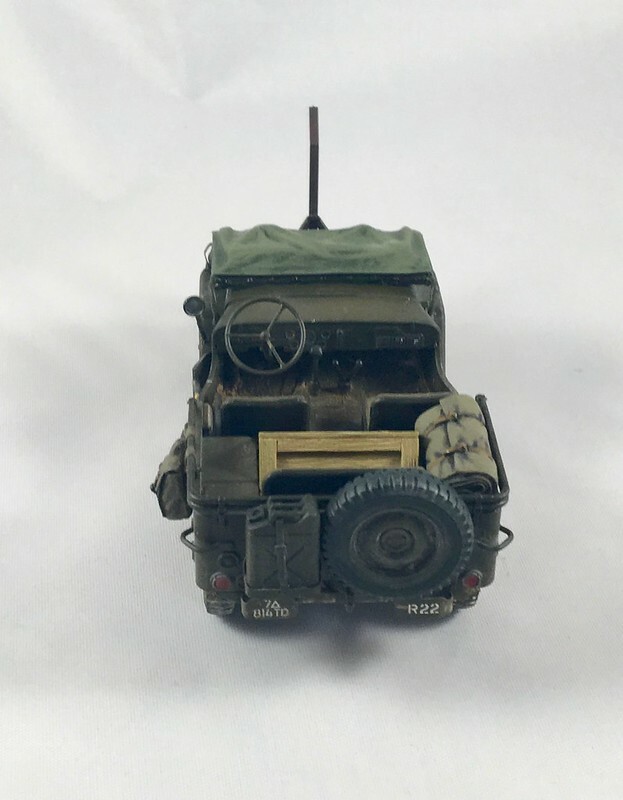 Update on the Jeep. 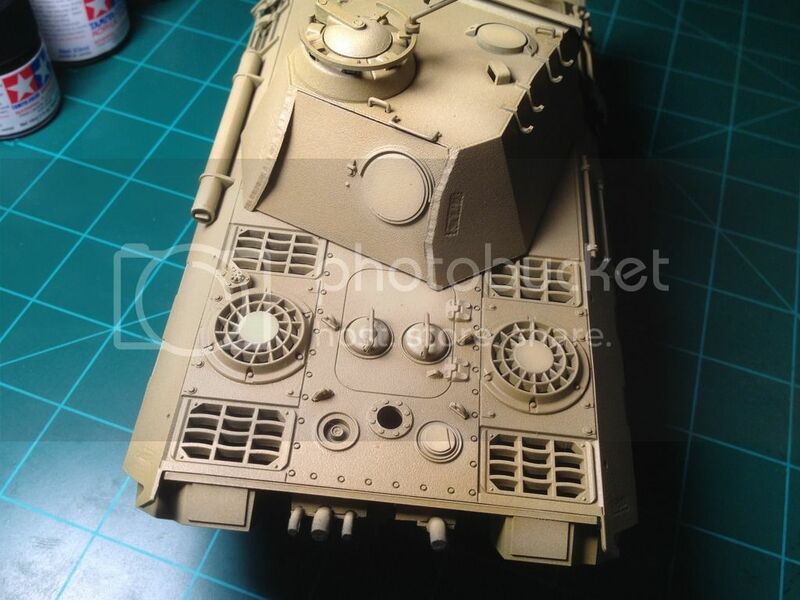 Weathering was added with Mig Pigments. I'm going to add a little bit of stowage then call this one finished. Sorry for the poor photos. That jeep is looking good! 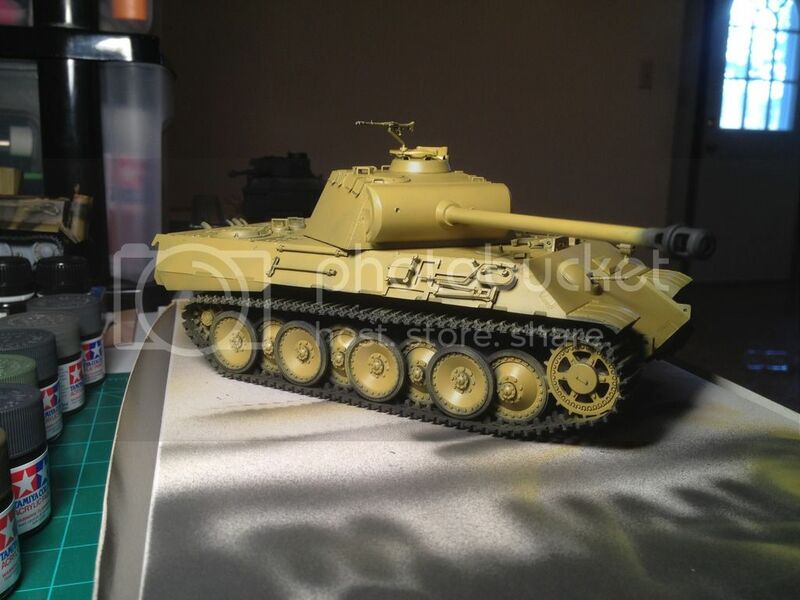 I got the Dunkelgelb sprayed, obviously needs some touching up. 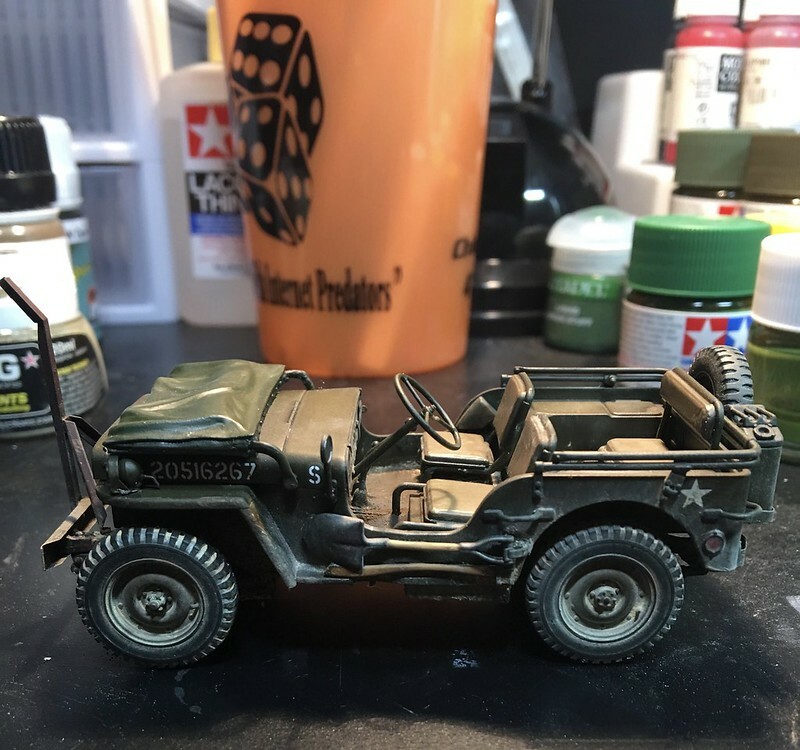 This is the first time that I used black as the base coat, and left the tracks and wheels on for paint. I must say I really like this method. Your jeep looks cool Mike -- I like the treatment on the tires. Is it the lighting that makes it shiny? 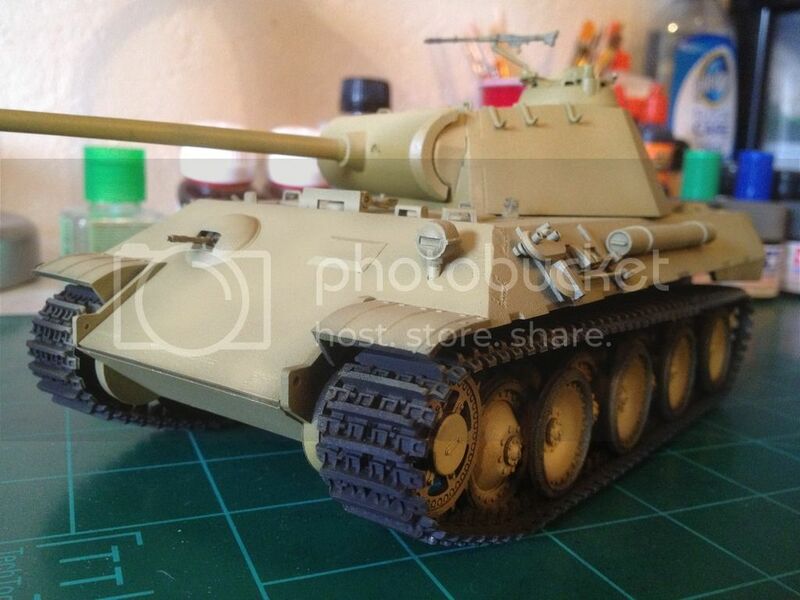 Looking good Dustin -- is this the old Tamiya Panther A? I use black as well under dark yellow -- it just makes the top coat on the greenish side. Though I haven't tried I read that a drop of red in dark yellow lessens such greenish effect. Also a sooty barrel end is more artistic license than reality -- but it is your build man, and I'd respect that. Thank you for the kind words Tat. 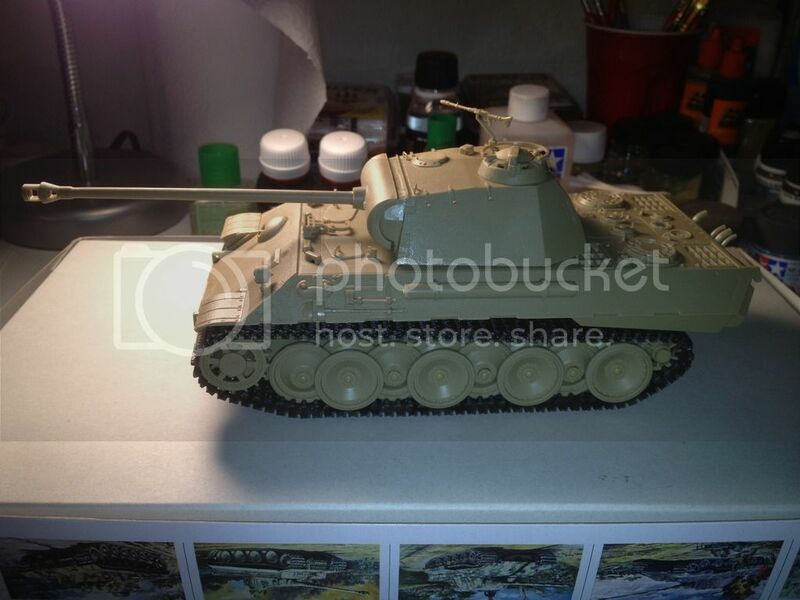 Te this is that old Tamiya Panther A. It was cheap, and good practice for me. Honestly, I really like the color of the yellow over the black. I don't know what it is, just gives it some realism in my opinion. Mr. Armorsmith told me awhile back about these tanks of this era not having sooty barrels. I just really like the look of it. I also like the look of a heavily chipped and weathered tank. 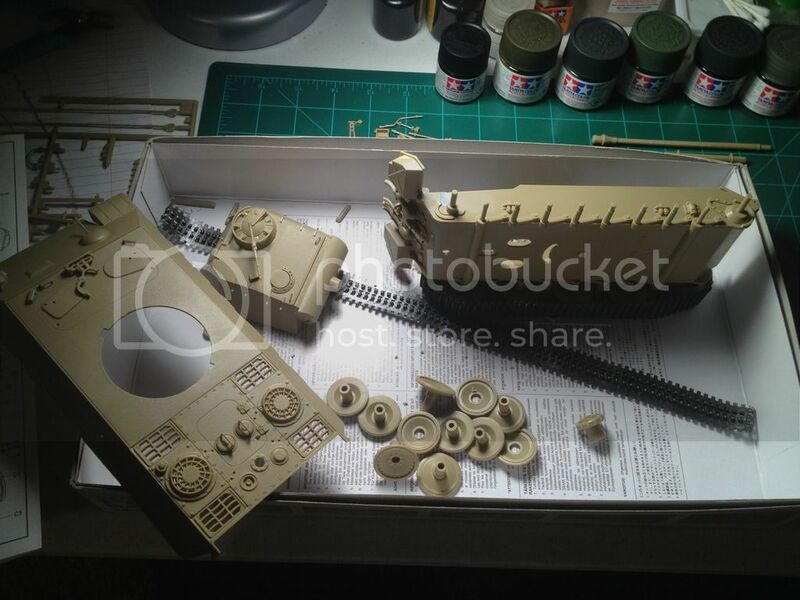 Although I want to build a few "cleaner" tanks. If you know what I'm saying. I probably won't do any mud or anything like that. 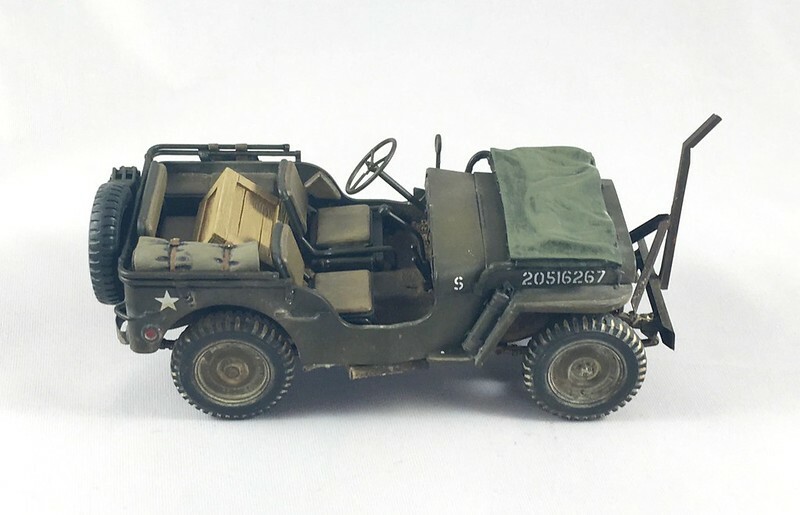 LTMike-love that jeep. You got to give us the details on how your tires came out so great. Also, love the way the seats came out. 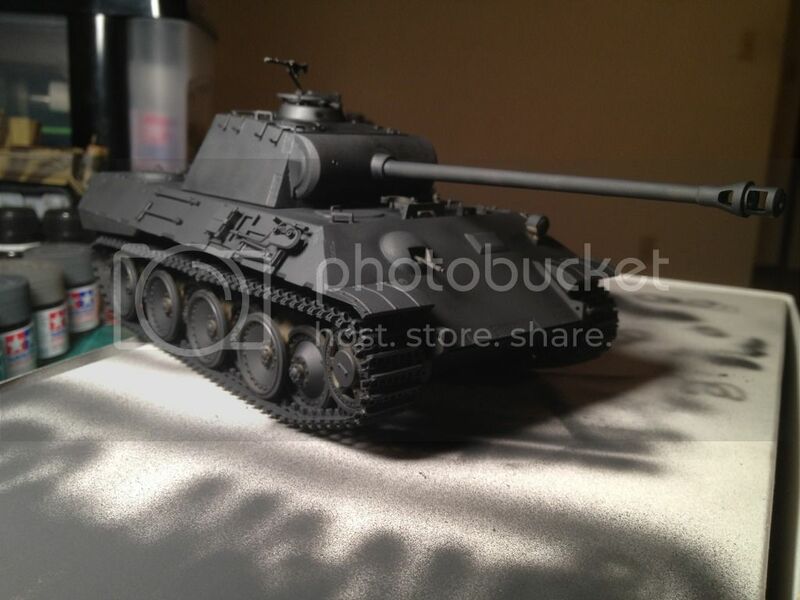 Dustin-Nice Panther! 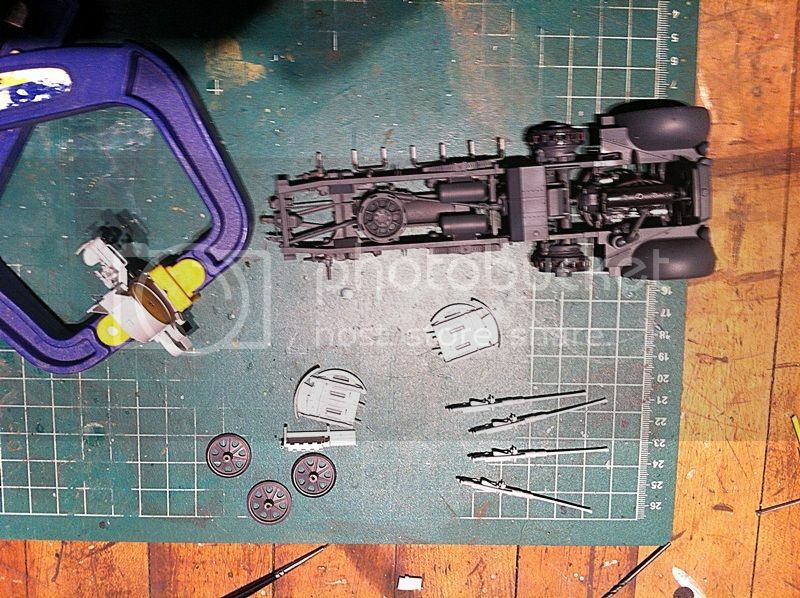 I was wondering how I would do the tracks if I did a Tamiya model with "rubber band" tracks. I like your method of just covering it all in "Black." 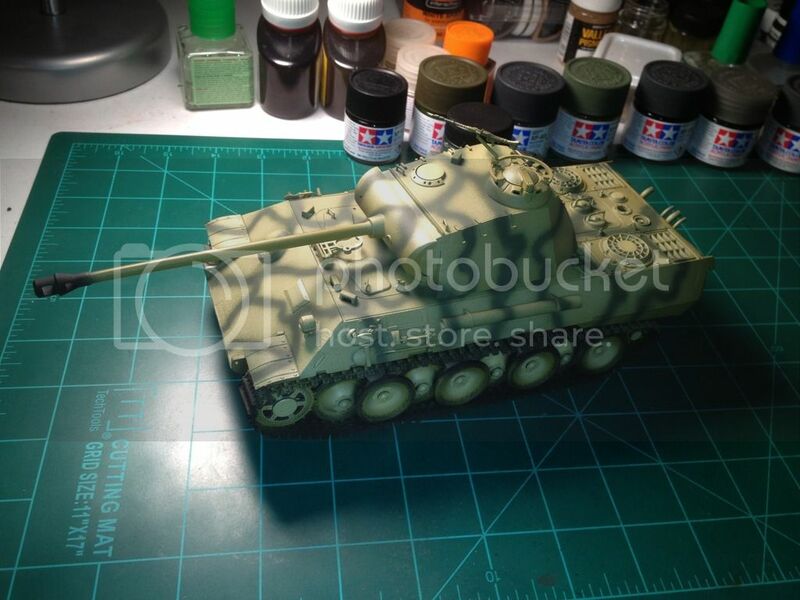 I'm thinking of doing a SU-85 for the Build a Dog Campaign. Great work, keep it up! The only thing I would want to do different is tone down the soot on the barrel but don't listen to us-it's your model. Thanks for the compliments. The dust effect on the wheels was pretty easy. 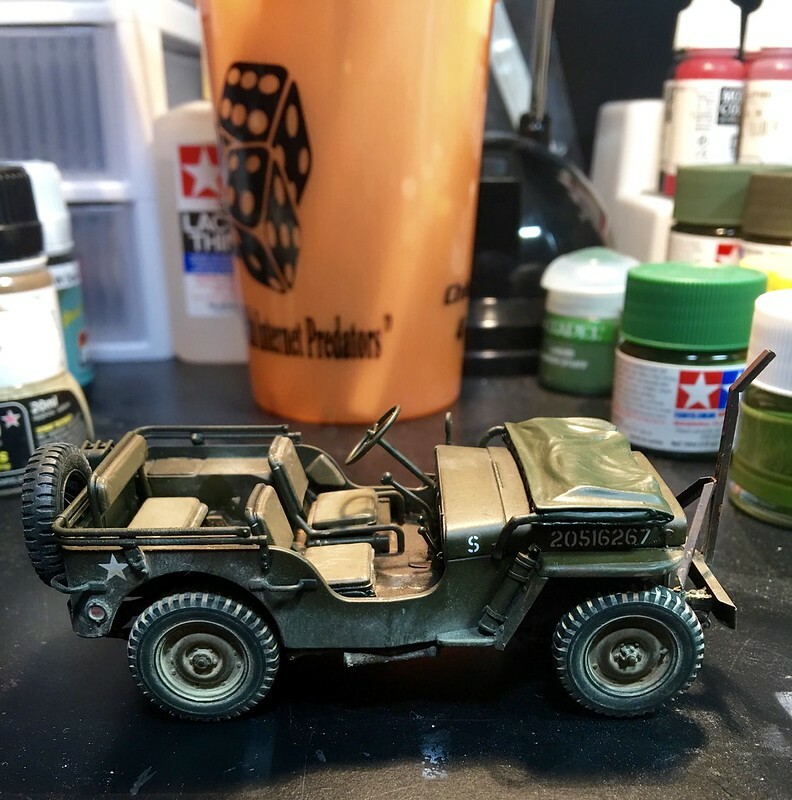 I used Mig Beach Sand and Mig dark earth pigments. I mixed water with the light pigment until it was the consistency of a wash. Then I slopped it all over the wheel and let it dry. After the light color dried, I mixed the darker pigment with water and applied that mix to the wheel in just a few spots for some contrast. After everything was dry I used my finger and a stiff brush to scrub off the excess. It's quick, easy and I think it makes a pretty realistic effect. One trick I found when working with rubber band tracks on a German subject, super glue the track to the top of the drive sprocket. When dry slightly turn the sprocket In reverse and the natural spring of the rubber band tracks will cause them to lay right down on top of the road wheels and gives a very nice realistic sag to the top run of track. I'll have to try that. Thank you for that tip. 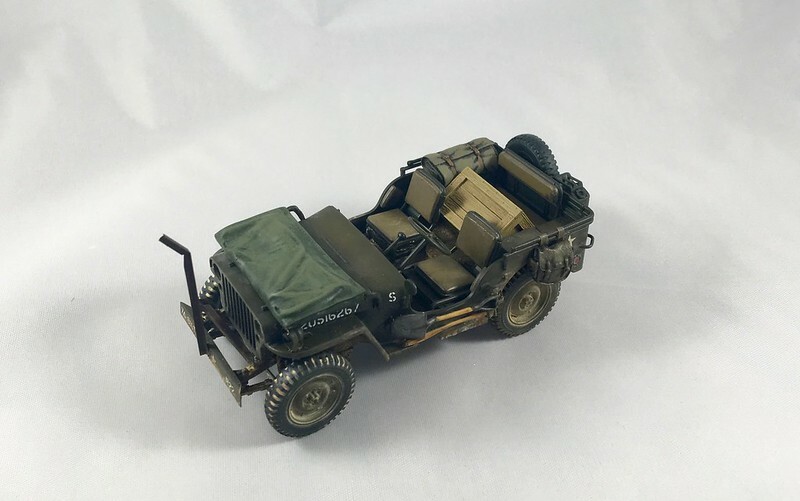 I'm calling my Jeep done. I started this kit years ago and now it's finally finished. 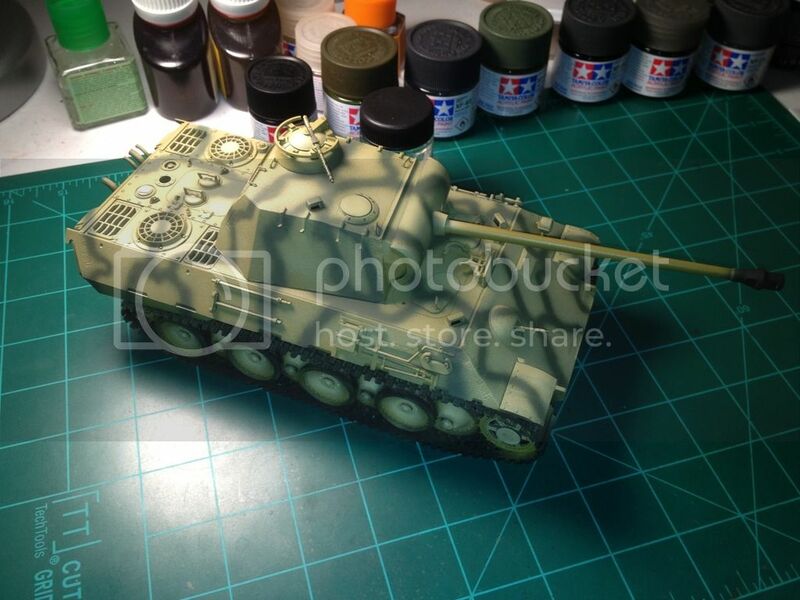 Well, I finally am finishing the Miniart SU-76. I've been struggling with sciatica, so I had a lot of time in the early mornings to work on it... Almost done after putting it down 6 years ago. Decides to lighten the base coat up. I thought it was too dark. I did leave some areas of the darker base coat.